Kioni es una niña de 8 años, que vive con su familia en una zona rural de Kenia. Hoy, deberá recorrer 15 kilómetros de trayecto para lograr su sueño, ser ingeniera informática. Las altas temperaturas de la sabana africana y un sinfín de riesgos como el ataque de los temidos elefantes, harán que Kioni tenga que gestionar el agua y sus niveles de hidratación, así como resolver puzzles y enfrentarse a los diferentes peligros que la acechan en el camino. La vida de Kioni transcurre ayudando a su familia atrabajar las tierras y en las duras tareas del hogar. Cadadía sueña con ser ingeniera informática como su referente, Dorcas Muthoni (Muthoni (1979) es una ingeniera y emprendedora keniata, fundadora de la organización AfChix. Desde el año 2004, ha facilitado las carreras de computación y la formación continua a mujeres y niñas, convirtiéndose en un modelo a seguir). El Camino de Kioni, nos pone en el lugar de una niña fuerte, valiente, decidida, con capacidad de tomar decisiones y resolver conflictos adultos a pesar de su corta edad. Una niña que se enfrenta a sus miedos y obstáculos reales, en un entorno donde situaciones cotidianas se convierten en verdaderos actos de heroicidad. This game clearly tells an interesting story, even though I could only understand the basics of it. I like the concept of the open environment and it seems you've got a lot to explore. Overall, it plays well and looks okay for a prototype. 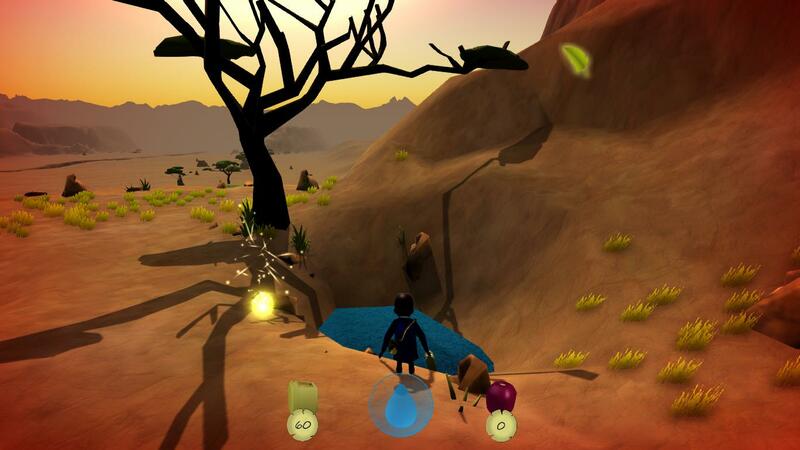 We'd love to see your game in this year's Game Development World Championship! Well, I don't know Spanish but I got it. 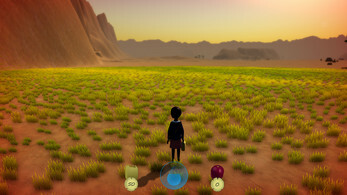 As I can see the game is about an African girl and I like this idea a lot. Since I don't know Spanish I started the game, got some water but I died, i think because of thirst hahaha. I can't judge the gameplay so my only critic is that I think there could be a better job with texturing because the graphics look cheap. 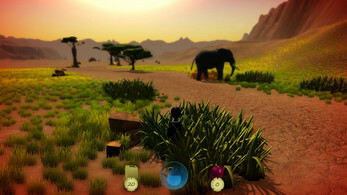 Hi, thank you for trying the game and for your comment. It's nice to see people like this kind of concept for a game. 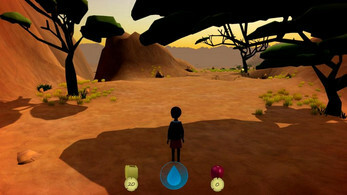 Actually this is a project that the team has been developing for a final project of grade, and the main idea of the game is to show people how difficult it can be to access to education in some places, it's based on the history of a documentary, but to explain a more detailed concept in the game we would need to investigate more thoroughly. When we was thinking about what kind of elements could be involved in progressing through the place, one of the main elements we thought was the water, because of the warm and dry weather of the place and the problem that suppose to be able to get water there, causing problems due to thirst as you said. At this moment we are waiting for the project to be evaluated and, if we have time and we are allowed to improve some things, we've thought about translating the game to help more people to get a better idea of all what game tries to explain, although about textures, I can't assure if, in case we are allowed to do some changes before the evaluation, the art team might be working on it, we'll see, thanks again for take your time in play the game and comment. Translating it in english would be great because as you said it, it will reach a larger audience and I would love to fully understand the story because it sounds interesting. Looking forward for the next version.